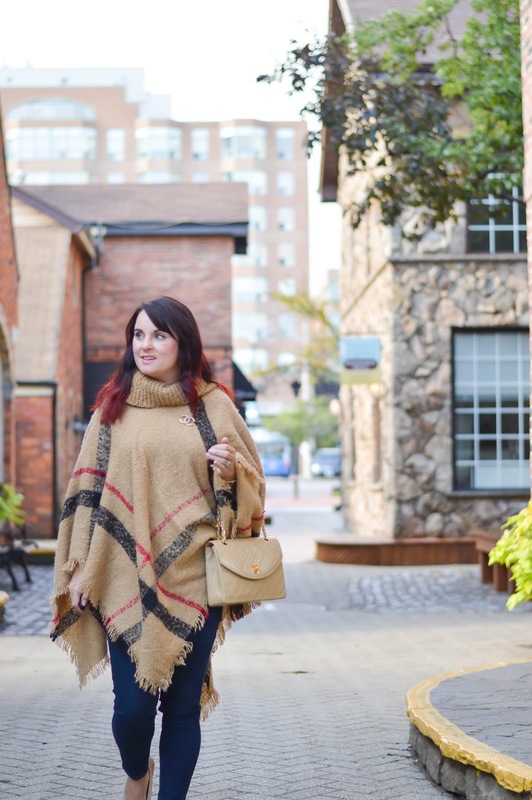 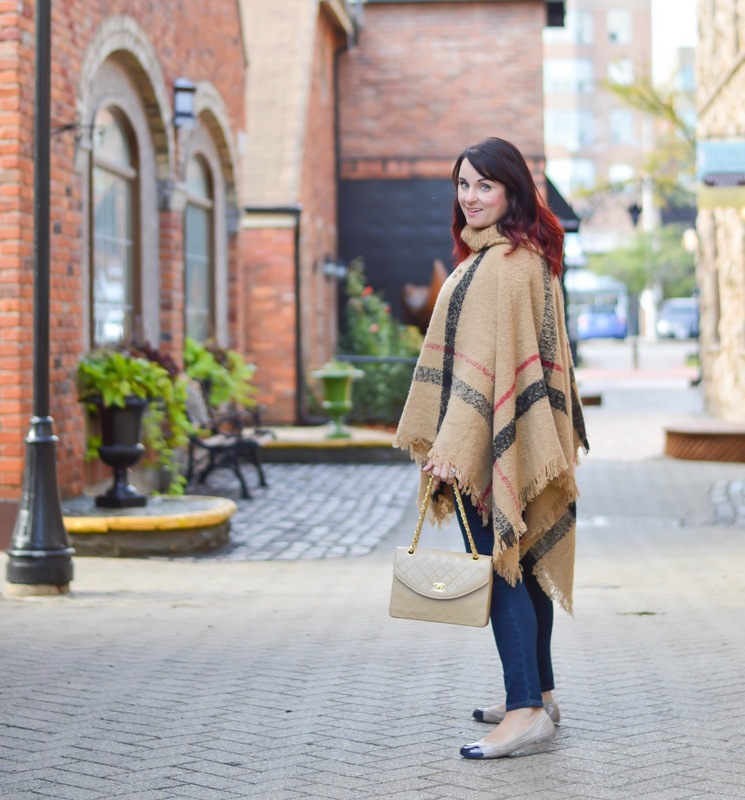 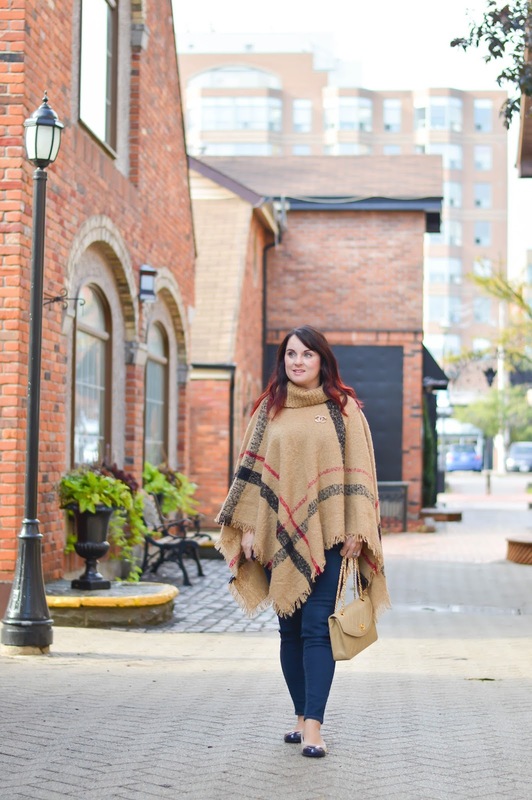 Happy Friday it's a bit of a late day post today but I want to make sure you see this fantastic Fall look. 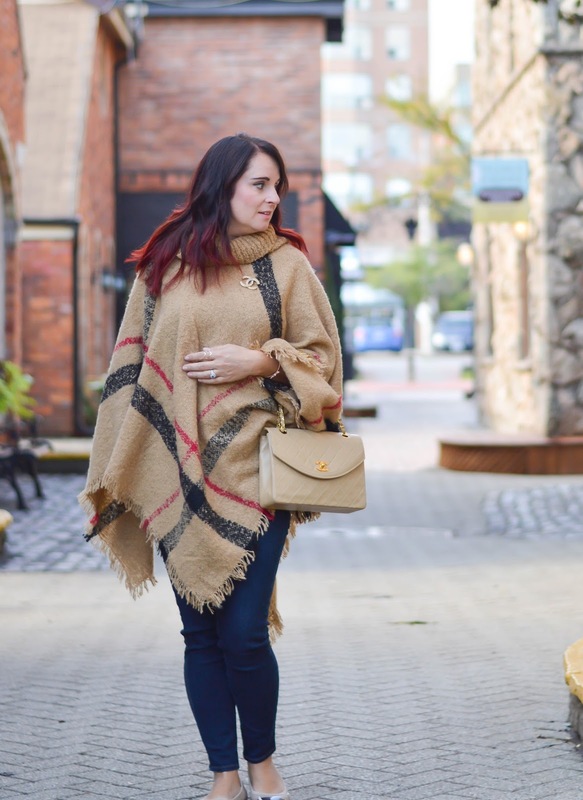 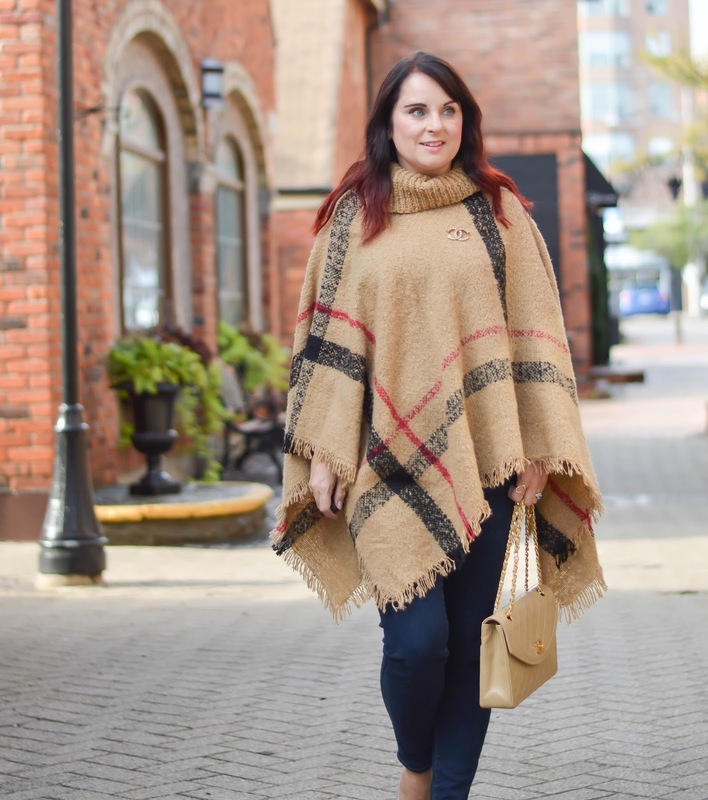 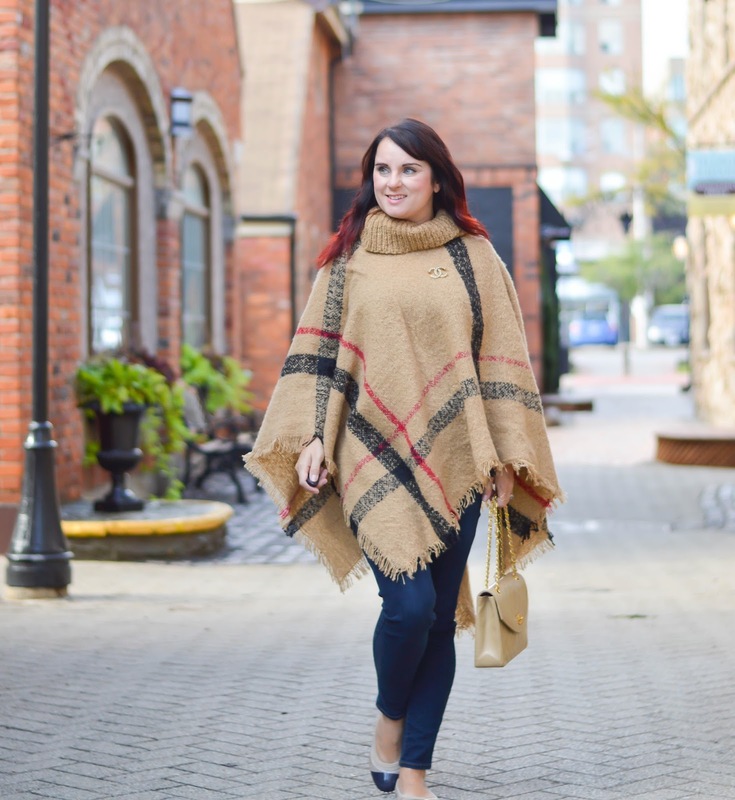 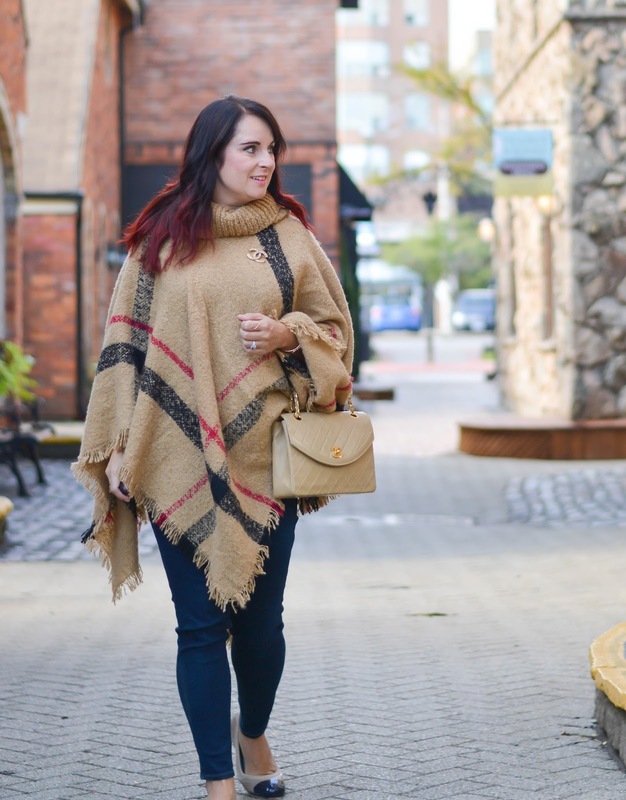 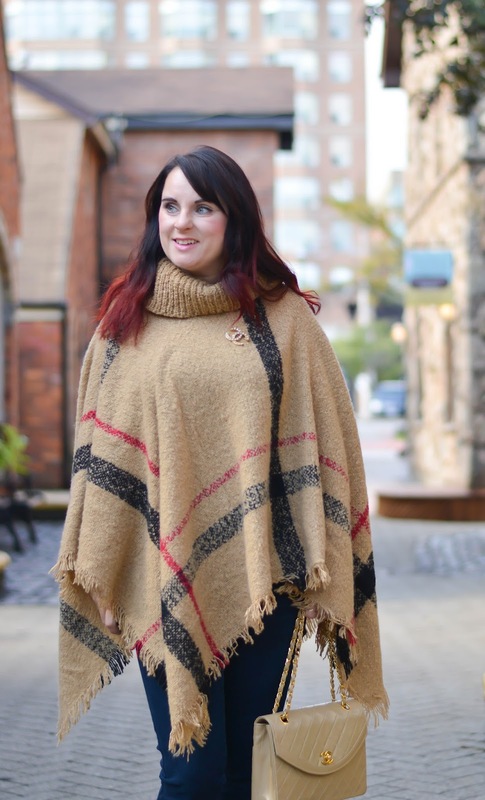 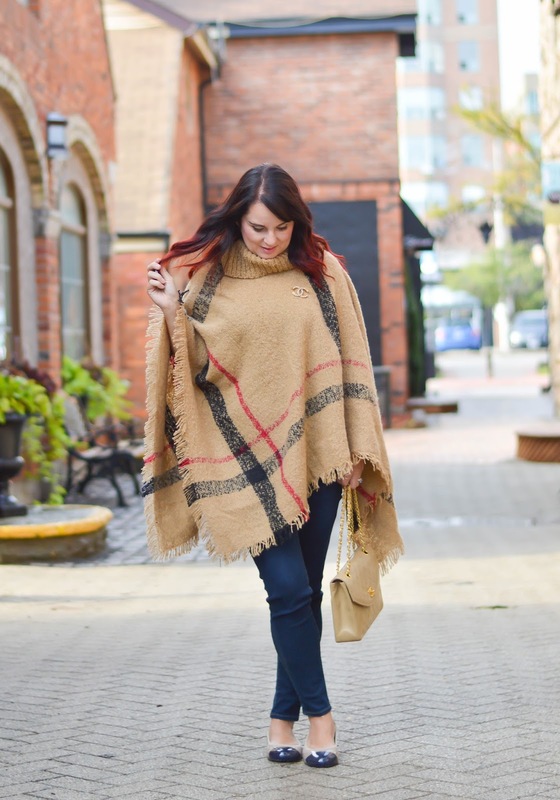 The scarf/poncho is from Lace and Envy, the hottest new fashion destination providing gorgeous hard to find fashion pieces from LA, Europe and other hot spots around the world. 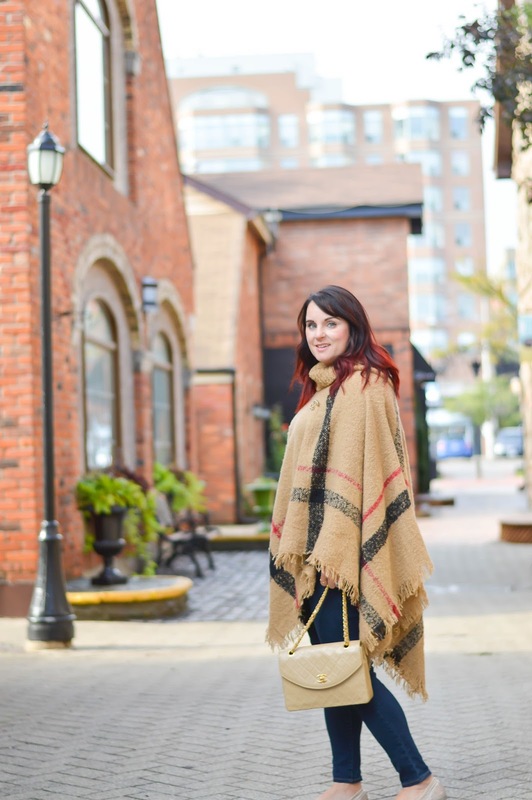 Our goal to provide a local fashion outlet for women. 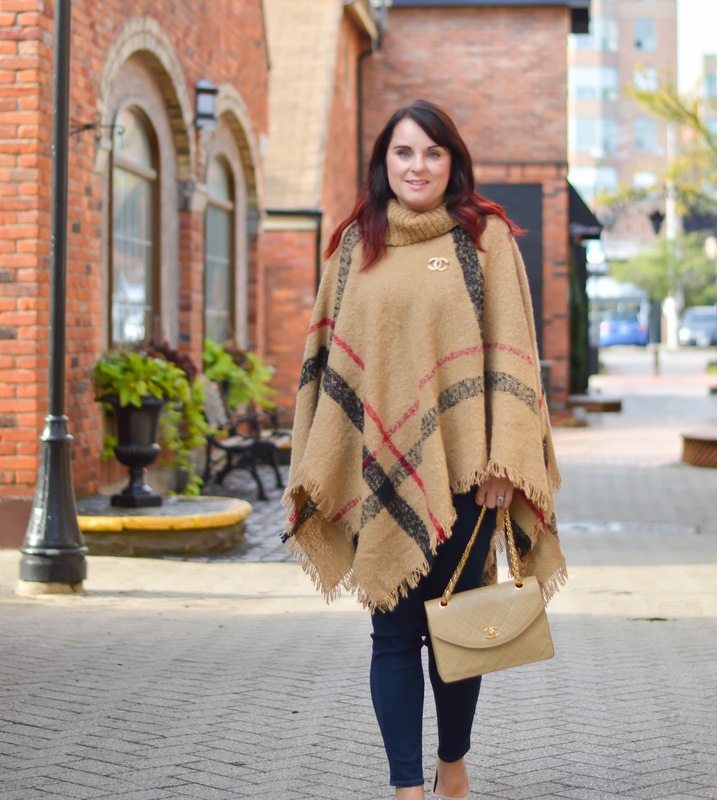 Lace & Envy has an endless number of ways to shop: Book a Private shopping experience in our Burlington Boutique, Host a fashion party at our shop or your house and get Free Clothing, Style sessions, reserve pieces in our VIP group or order online. 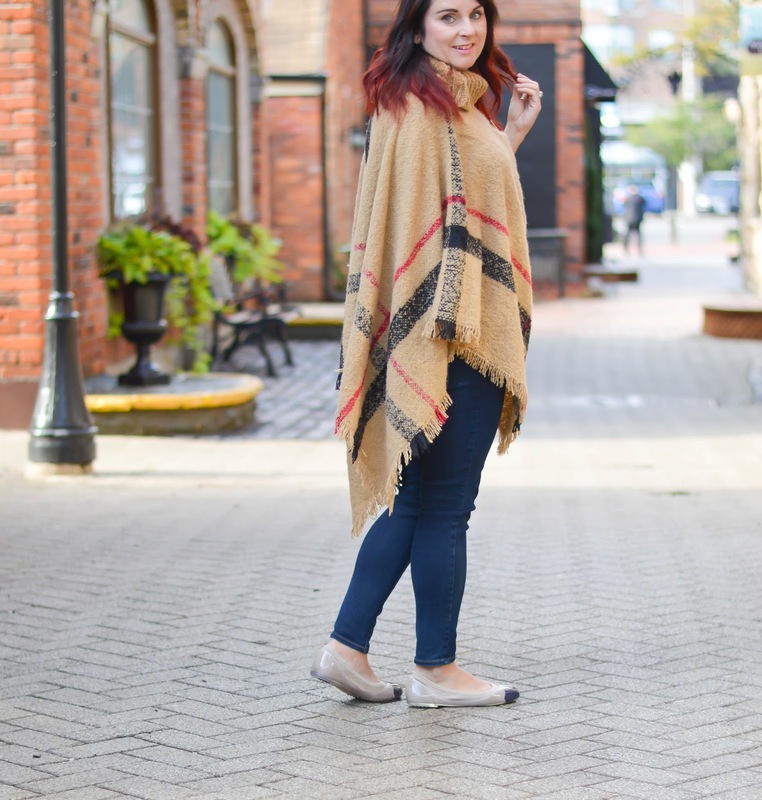 My super comfy flats are from Ja-Vie, a company that is re-thinking the flat shoe. 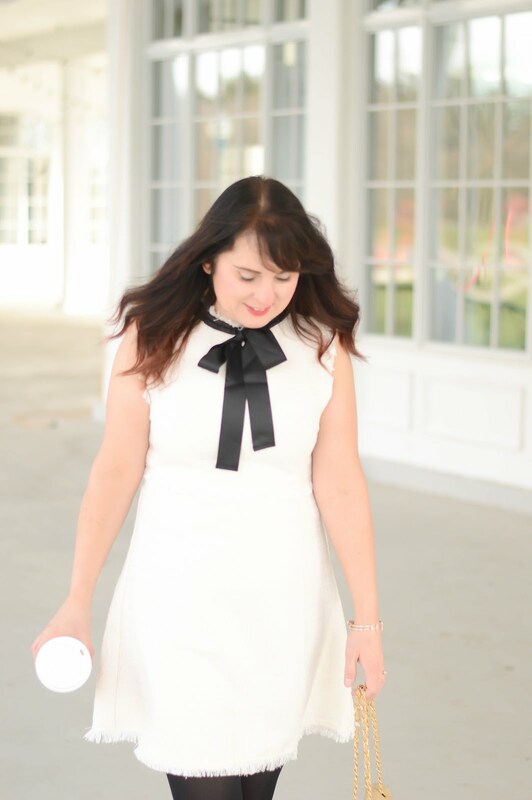 These Chanel inspired shoes are perfect for any outfit and really make a stylish statement.